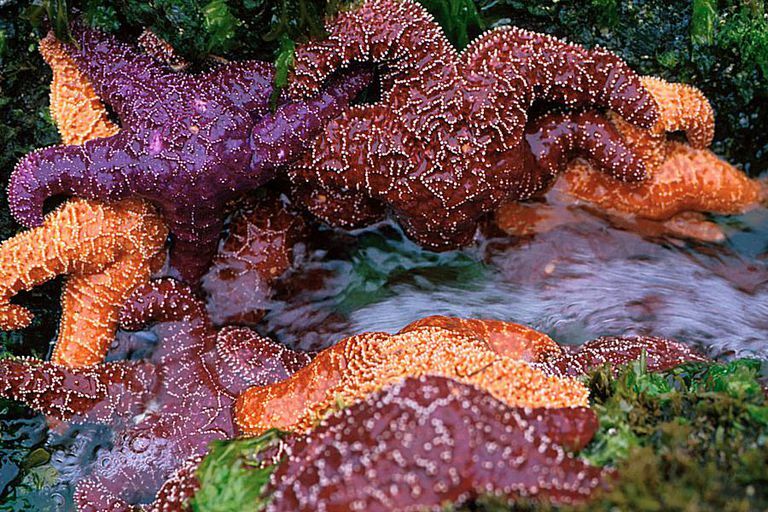 The carnivorous starfish Pisaster ochracceus is a keystone species in the intertidal zones of the Pacific northwest. Photo © Nancy Sefton / NOAA. A keystone species is a species that plays a critical role in maintaining the structure of an ecological community and whose impact on the community is greater than would be expected based on its relative abundance or total biomass. Without the keystone species, the ecological community to which it belongs would be greatly altered and many other species would be negatively impacted. In many cases, a keystone species is a predator. The reason for this is that a small population of predators is able to influence the distribution and numbers of many prey species. Predators not only affect prey populations by reducing their numbers, but they also alter the behavior of prey species--where they forage, when they are active, and how they select habitats such as burrows and breeding grounds. Although predators are common keystone species, they are not the only members of an ecological community that can serve this role. Herbivores too can be keystone species. For example, in the Serengeti, elephants act as keystone species by eating young saplings such as acacia that grow in the vast grasslands. This keeps the savannas free of trees and prevents it from gradually becoming a woodland. Additionally, by managing the dominant vegetation in the community, elephants ensure that grasses thrive. In turn, a wide variety of other animals benefit such as wildebeests, zebras, and antelopes. Without grasses, populations of mice and shrews would be reduced. The concept of a keystone species was first introduced by University of Washington professor, Robert T. Paine in 1969. Paine studied a community of organisms that inhabited the intertidal zone along Washington's Pacific coast. He found that one species, the carnivorous starfish Pisaster ochraceous, played a key role in maintaining the balance of all other species in the community. Paine observed that if Pisaster ochraceous was removed from the community, the populations of two mussel species within the community grew unchecked. Without a predator to control their numbers, the mussels soon took over the community and crowded out other species, greatly reduced the community's diversity. When a keystone species is removed from an ecological community, there is a chain reaction throughout many parts of the community. Some species become more numerous while others suffer population declines. The plant structure of the community may be altered due to increased or decreased browsing and grazing by certain species. Similar to keystone species are umbrella species. Umbrella species are species that provide protection for many other species in some way. For example, an umbrella species might require a large amount of habitat. If the umbrella species remains healthy and protected, then that protection also protects a host of smaller species as well. 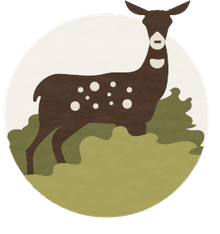 Keystone species, because of their proportionately large influence on species diversity and community structure, have become a popular target for conservation efforts. The reasoning is sound: protect one, key species and in doing so stabilize an entire community. But the keystone species theory remains a young theory and the underlying concepts are still being developed. For instance, the term was originally applied to a predator species (Pisaster ochraceous), but now the term 'keystone' has been extended to include prey species, plants, and even habitat resources. Do You Know These 12 Animals of North America?